Many homeowners complain of the eternal clutter in their residential spaces. Often times this is true. Houses with even good parameter measurements on paper don’t look that spacious in real. So, if you are also facing this same dilemma then you can employ some measures to add more space to your house, if you have a remodeling or reconstruction plan. A spacious house means comfortable living and getting higher price quotes in case of a resale. If the square footage of your house is all consumed up already then going higher above the ground is only a natural choice to add more space. Adding another story to your house will provide you with more space and will increase the estate value. However, this reconstruction plan needs extensive work, large remodeling budget and you may also have to vacate your house for some time. Furthermore, it will only be possible if local building code and the foundation of your house allow the addition of another story. Let’s move on to some less extensive and reasonable remodeling options. Homeowners that have attics and basements in their buildings are fortunate enough because they can transform these areas into living spaces. If you have to choose between either of the option then we recommend you to go with basement conversion due to these edges over an attic. · Usually, they have the same square footage as the parameter of the house building. But that doesn’t mean attics can’t be converted into functional spaces. With a good remodeling plan, attics can transform into a bedroom for your kids. They can also prove to be good secluded studies. 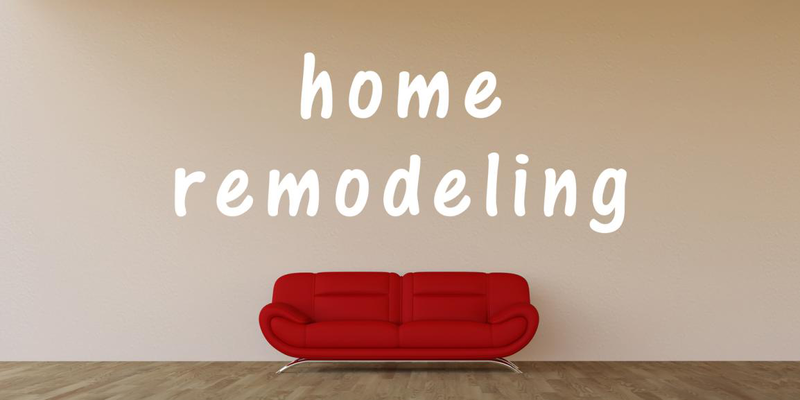 Aside from these remodeling measures to add space to your residence, you can also create a sense of space by acting upon some other remodeling procedures as well. If your living room and dining area is separated by a wall then the simplest way to create an illusion of more space is to remove it. Removing the wall won’t affect the functionality of either of the spaces. Similarly, using glass doors and windows also helps in creating a more spacious look. Yes, repurposing can also be used to add more space to your residence. If you think the stuff in the store room can be accommodated in the garage or basement then it is the best choice to create more space in the house. They can be converted into single bedrooms, studies etc. If you have a designated drawing room like old times that comes into use once in a while, then it can also be repurposed. By merging your drawing room with the living space, you can add another room in your house without doing much. Apart from all these remodeling measures, clearing the clutter, having the proportionate furniture size and picking a right color scheme also aids in creating a better sense of space.